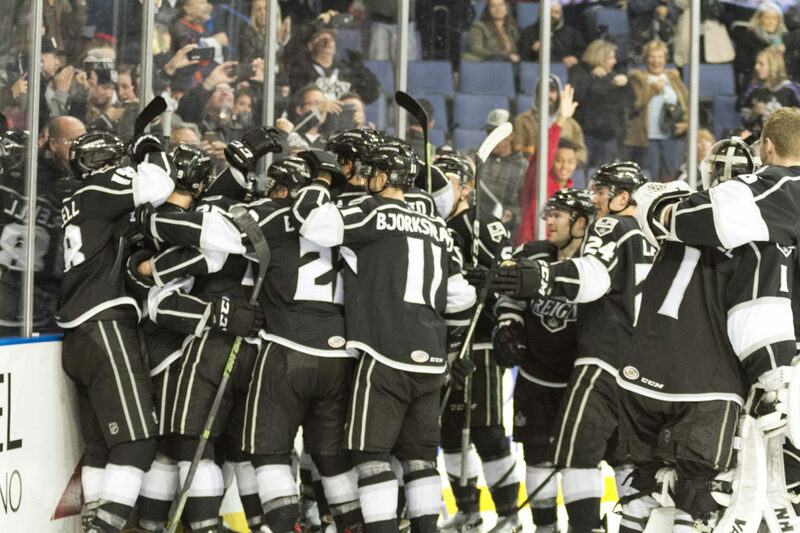 For all the ways to finish out a year the Reign delivered their most dramatic victory of the season by closing out 2016 with a come-from-behind 5-4 overtime win against Stockton on a Brett Sutter game-winner on Saturday night. Presented with a four-minute power play while trailing 4-2 with 5:17 left in regulation, the Reign made the Heat and Ryan Lomberg, who was sitting in the box for high-sticking and slashing, pay. 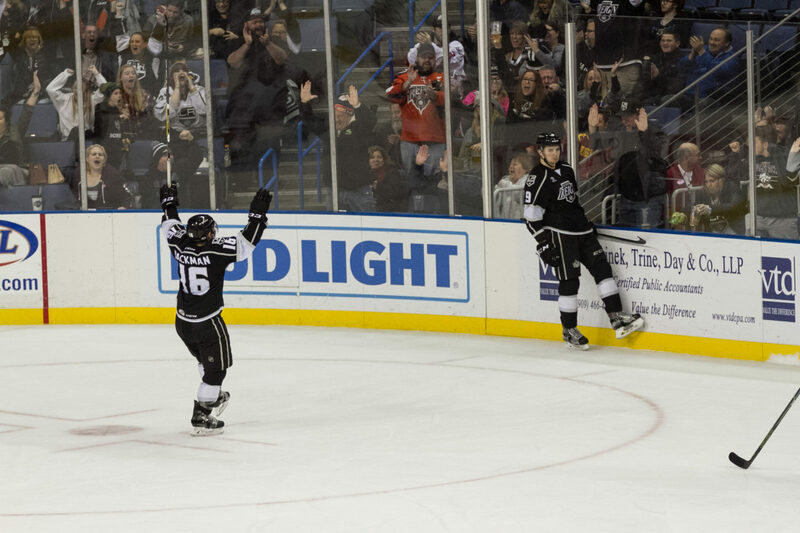 Teddy Purcell’s one-timer from the top of the point just six seconds into the man advantage got the Reign to 4-3. 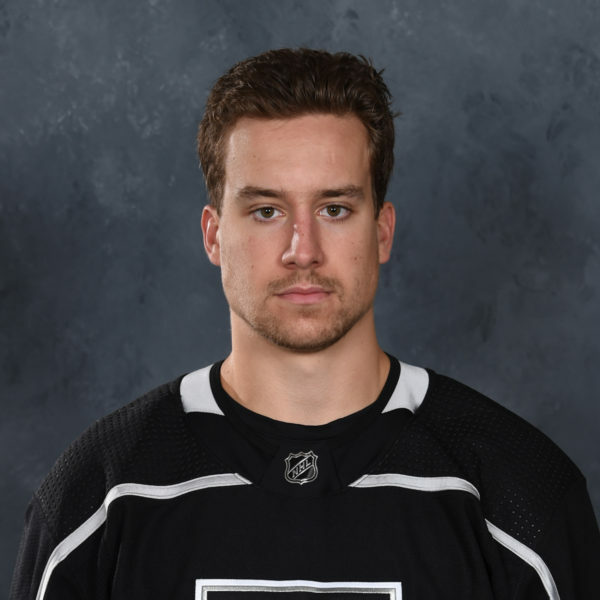 Then, Adrian Kempe tied the game with 2:56 left in regulation by quickly throwing a backhander into the net on a long rebound as Stockton goalie Jon Gillies couldn’t get dive back in time. For good measure, Ontario killed a late tripping penalty on Justin Auger that briefly bled over into overtime. Once Auger’s penalty expired and the first whistle of overtime came to give way to 3-on-3, the Reign quickly finished the Heat as veterans Sutter and Sean Backman combo’ed for the game-winner. Sutter fed Backman in the neutral zone and as Backman skated into the offensive zone on the right wing he took the puck almost deep into the corner, patiently waiting and once a crashing Sutter outworked his way around the defender Backman fed him for a timely redirect. Goalie Jack Campbell finished with 21 saves on 25 shots and backstopped his team to their sixth straight win. –Brett Sutter – The veteran’s first game-winner of the season came when he scored with just 32 seconds left in an early December game against Charlotte so it’s no surprise that he has a knack to finish in high-pressure moments. His second game-winner in this one was a display of his smarts and will as he blew by Emile Poirier to get in position for Backman and finished the play for his seventh goal of the season. He finished with a goal and an assist. 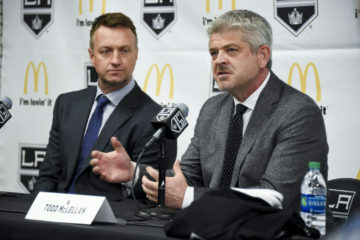 –Adrian Kempe – There’s been a noticeable shift to the right way of play in Kempe’s game as of late and he now has three goals in his last five games. The former first-rounder is using his speed more effectively and finding open ice. He took a good angle on a breakout to get the puck from Vincent LoVerde and while moving up ice drew the penalty that led to Jonny Brodzinski’s power play goal that made it 2-2 in the second. On his game-tying goal he recognized the need to get his shot off right away. It was noticeable that if Kempe had waited, Gillies would have been able to get back into position for a save but he threw a dribbling backhander, without much on it, into the gaping net. 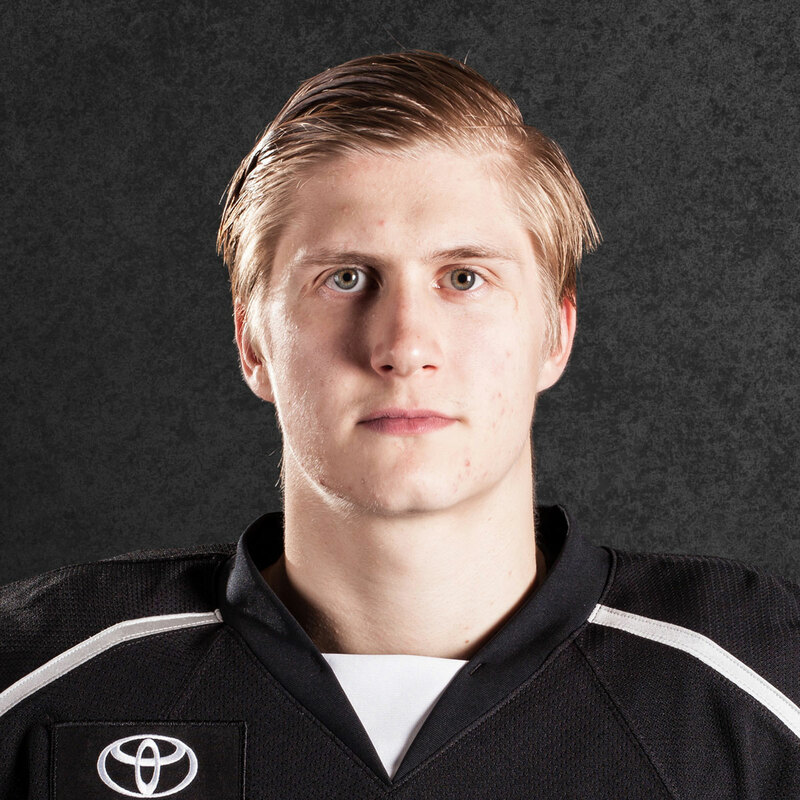 In some contests the turning point may be a tad bit harder to pinpoint but there was no doubt that Lomberg’s double-minor gave the Reign exactly what they needed. Ontario was pressing early in the third period but Gillies seemed up to the challenge to close things out, but Lomberg’s penalties opened the door for the home team’s comeback. “He’s one of those guys that plays on the edge and he crossed the line and, you know what, if there’s one message you can send your team it’s like, if you’re going to make somebody pay, make ’em pay,” Stothers said. –9 – Minors called in the second period which resulted in two power play goals. 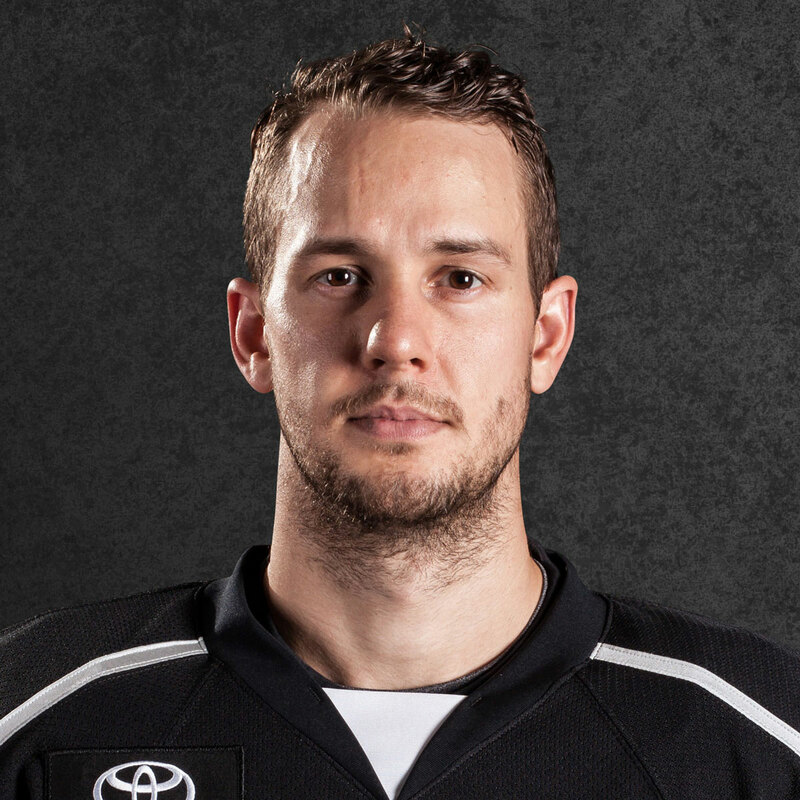 The Reign’s power play mark by Brodzinski, who was set up on a nice feed by Mike Amadio, made it 2-2. Stockton eventually went up 3-2 on an Andrew Mangiapane power play goal as he banked the puck off the back of Campbell from the left corner. 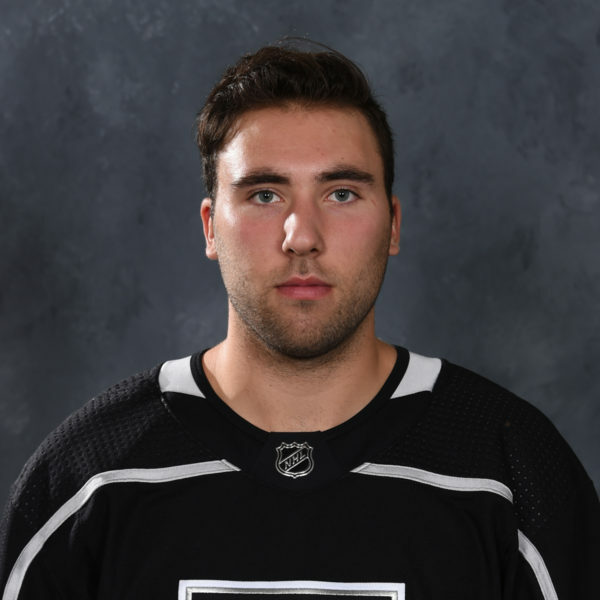 Michael Mersch missed his first game of the season as he’s a bit banged up, this according to information obtained by LA Kings Insider Jon Rosen through team hockey operations. Stothers joked and dodged all questions about Mersch’s status. “Coach’s decision. His play’s got to improve. Just kidding,” the coach said. 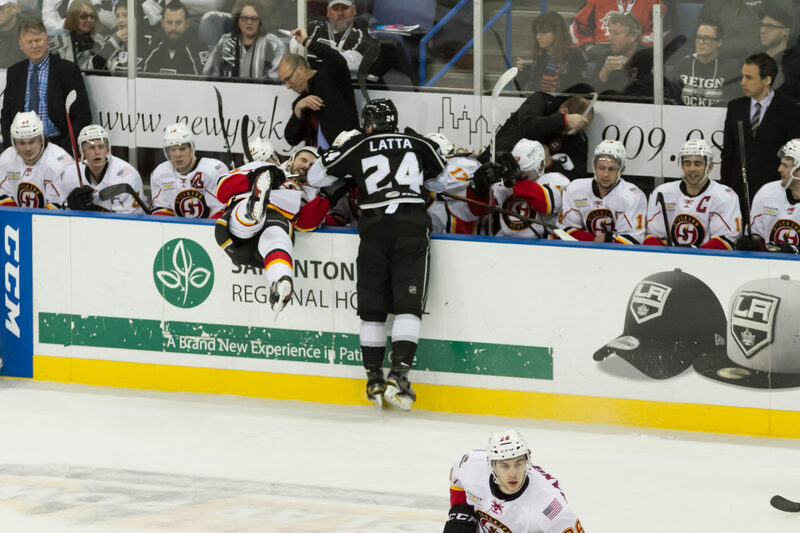 For the first time this season, the Reign won’t have a weekday game. Early in the week they’ll have Development Days with the Kings development staff. 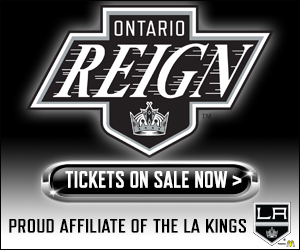 Of course, this coming Saturday the Reign skate in the highly anticipated Outdoor Classic against the Bakersfield Condors.